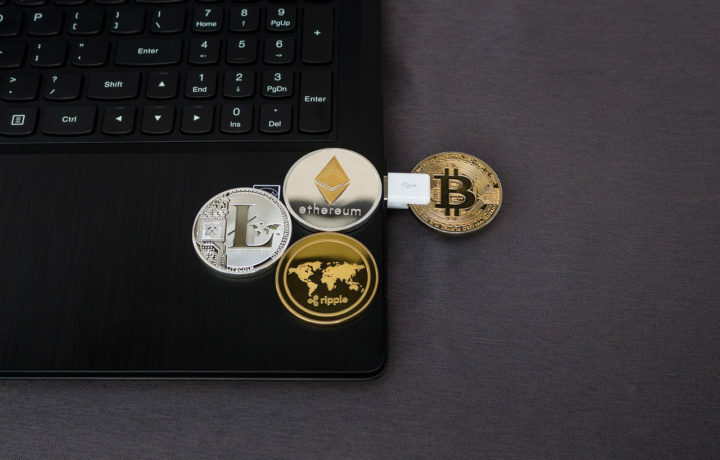 There are many altcoins in the marketplace –All cryptocurrencies that are not bitcoins are referred to as “altcoins.” Uninformed people believe that bitcoins are the only cryptocurrency out there, but there are thousands of currencies in the marketplace right now that have more potentials than bitcoins. In this article, we will discuss top altcoins for 2018. Ripple has drawn lots of eyeballs. Just like bitcoins, Ripple (XRP) uses the blockchain technology, except that it is built to provide payment, digital assets and connect bank. In fact, the owner of Ripple has said that he aims to provide liquidity and low operational costs. Ripple saw more than 36,000% surge by the end of 2017. As of today, Ripple has a market cap of more than $36B. In fact, Ripple is the next gold. The golden advice is to buy ripple now and hold if you want patient enough. This is solely for you, but let’s makes the analysis clear. If you had invested $1,000 in ripple coins in early 2017, you would have made more than $360,000 in gains by the year’s end, whereas bitcoin would have only netted you a profit of $13,000. The pen is in your hand to decide if ripple is a good investment for you or not. NXT is one cryptocurrency that is quite absurd considering its name, to be honest with you. Just NXT, that’s the name. Just kidding, NXT is the contraction of NEXT COIN. What is it? It is a digital currency that operates in a decentralized way in a divided computer network. Unlike bitcoins that are only used for receiving and sending payments, NXT allows users to create their applications. NXT was stable throughout 2017. However, it showed a great deal in the last quarter of 2017. Currently, NXT is sold for $0.20-ish. GCR (Global Currency Reserve) is a coin that offers everyone the benefits of using cryptocurrency efficiently. GCR is the first business opportunity with its digital currency. GCR has an immediate chance for personal success and wealth building. GCR is currently connected to the Amazon marketplace. GCR is an exchange currency that converts bitcoins to GCR and other currencies. This means that a surge in price will be crucial this year right? GCR has a coinmarketcap value of $13M. GCR, as it stands now is very stable, but let us not forget that it is built around the world’s best online market place. Currently, GCR is sold for $0.925. DigiByte is a coin with long-term potential. DigiByte has been in existence for four years with a community of innovators and developers around it. A DigiByte block occurs every 15 seconds. It has earned the title of the world’s fastest and longest blockchain (4OX faster than bitcoins). DigiByte has a market volume of $375M. Due to its slow growth, it is a viable coin to look out for, because it has better transaction speed than bitcoins. What’s your top pick for 2018? Please share with us! Top 10 Cryptocurrencies in 2017: Will Ripple Top the List Again in 2018? My top pick would be: Dash. Have you listened to Bad Crypto Podcast? Listen to the interview with Amanda B. Johnson. Episode 86. Do you know about a crypto currency, backed by gold or silver? © Copyright 2018 - Cryptofic. All Rights Reserved.